Fire up those quads and get your blood pumping in the first two miles of the Clemmer trail—the climb starts in the parking area and gives you no time for an easy warm-up. The Clemmer Trail up to Benton Falls is 8.8 miles roundtrip, but you can turn when the ascent ends around for a four-mile run, or keep going to the top of the mountain and back for a total of 11.4 miles. While the trail begins as a wide gravel road climb, the loose rocky sections can easily cause you to twist an ankle. Watch your foot placement and come mentally prepared to walk at times. Even when the trail is wet, the sandy soil and rocky terrain dry out quickly making Clemmer usable year-round. Watch out for the occasional mud hole in the loamy flat spots. 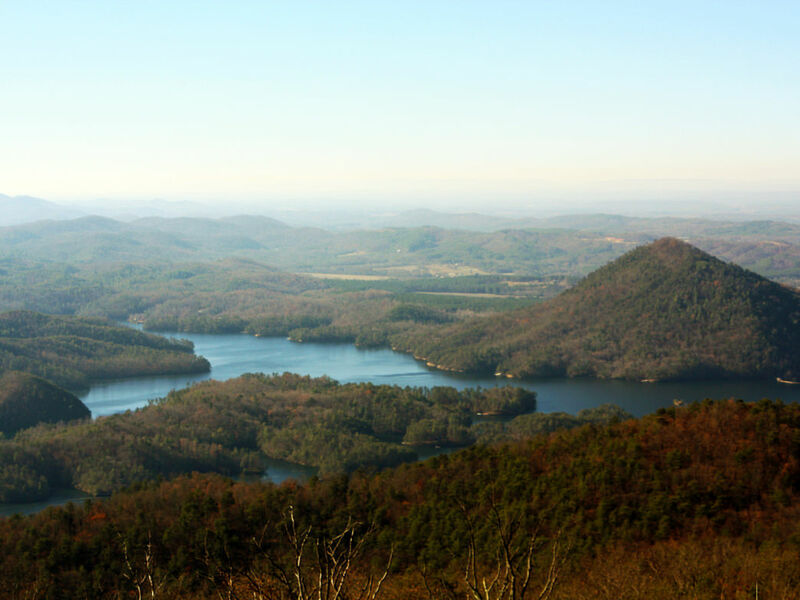 The Ocoee Ranger District of the Cherokee National Forest is a hub of outdoor activity for all ages, skill levels, offering adventure sports from kayaking and SUPing to mountain biking and trail running. 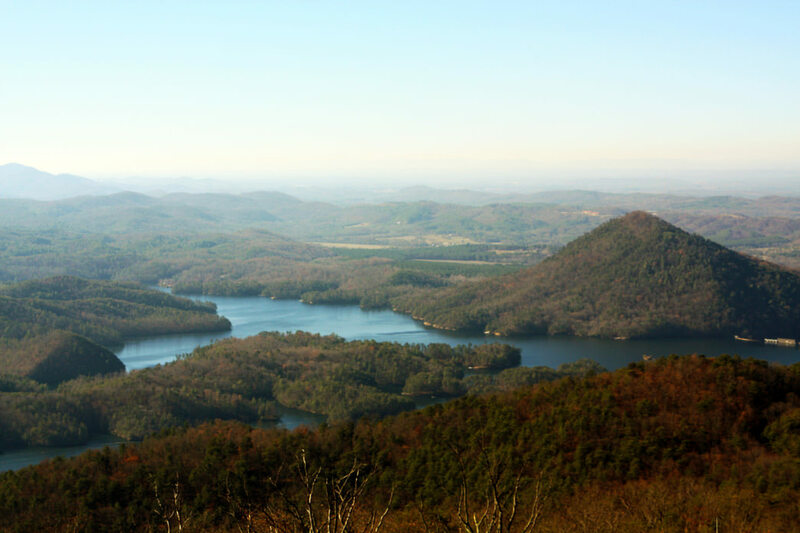 It’s within the Ocoee District where you’ll find the Chilhowee Trail System—27 miles of trails made just for biking, hiking, and running. The Clemmer Trail is a solid challenge for any trail runner, ending at Benton Falls, a popular attraction for locals and visitors alike. It also connects to all the other trails in the area, making it easy to extend your run. The Clemmer Trail is easy to get to, and has everything a technical trail runner could ask for—singletrack, doubletrack, roots, rocks, and even a killer hill at the very beginning (that you get to bomb down at the end). If you only want a hill workout, turn around at the top of the ascent for a four mile round-trip run. Otherwise, continue up the sandy path until you get to Benton Falls, skipping over a couple creeks along the way. Once you get to the 65-foot Benton Falls, take a few minutes to take in the view and splash some water in your face. From here, you can head back the way you came, or add three more miles (roundtrip) to your run by taking the Benton Falls Trail to McKamy Lake. The Clemmer Trail connects with the other trails in the Chilhowee Trail System, for about 27 miles total. Grab a copy of the trail map at the Ocoee Ranger station on US-64 and lay out a trail running quest (just make sure that Benton Falls is part of the itinerary). If you happen to be a multi-sport athlete, or just want to tackle more than just a trail run, start with an open water swim in Parksville Lake followed by a trail run up Clemmer. Have a friend meet you at the top with your bike and knock out some of the other trails. There is a bathroom facility at the top with hot showers and a picnic area overlooking McKamy Lake—a perfect staging area. Hill climbers and technical trail runners will be right at home on the Clemmer Trail. Roots and rocks will attempt to sabotage even the strongest ankles, and the ascent at the beginning will make your heart race. Every single obstacle keeps you on your toes (literally in some spots), making Clemmer a fun challenge. The Clemmer Trailhead parking lot is just off of US-64 so it is easily accessible from the Cleveland and Chattanooga areas. Don’t confuse the Clemmer trail with the Clemmer Spur trail as both depart from the Scenic Spur parking area. From Chattanooga: Take I-75 N to Cleveland exit 20 and go right onto US-74 E. Continue on US-74 E to US-64 E. Take the Ocoee exit heading east toward Ducktown/Copperhill/Murphy, NC. Stay on US-64 E for 17.3 miles to the US-64/TN-30 intersection. Turn left on TN-30 and the gravel parking area is on the left with a sign that reads Scenic Spur Trail. The Chilhowee Recreation Area campground and bathhouses close in November, but a winter camping area is available with limited facilities.